Thanks to our partners and customers, more than 30 million trees have been donated to coffee farmers thus far and we have quadrupled our commitment to get 100 million trees to coffee farmers by 2025. This effort began in September 2015, when Starbucks launched the One Tree for Every Bag program to help ensure the long-term supply of coffee and the economic future of coffee farmers by providing seedlings to replace trees that are declining in productivity due to age and disease, such as coffee leaf rust. This effort is part of our ongoing commitment to provide comprehensive support to farmers around the world which includes open-source agronomy research, farmer financing and access to information. 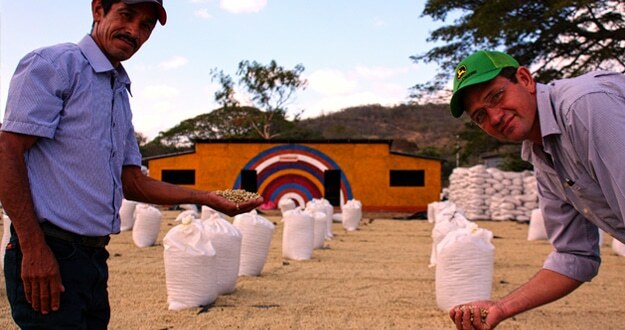 The Starbucks Global Farmer Fund is a $50M commitment to provide financing to coffee farmers. Through these loans, farmers are able to support agronomy, restoration and infrastructure improvements. This work directly influences coffee quality, sustainability and overall profitability for the entire specialty coffee industry. We began investing in farmer loans in 2000, providing access to credit at reasonable terms is a critical aspect of our farmer support model. By investing in farmer loans, we’re helping cooperatives manage risk and strengthen their businesses. By 2017 our total loan commitment has grown to $23 million. Our loan partners made loans in 13 countries – including Peru, Nicaragua, Honduras, Rwanda, Guatemala, Mexico, Costa Rica, Colombia, Kenya, Uganda, The Democratic Republic of Congo, Tanzania and Indonesia – to suppliers we both buy from as well as ones we do not. Loan recipients also receive technical assistance in the form of agronomy best practices, business planning and price risk management training. Ubeda never thought she’d be running a coffee business. 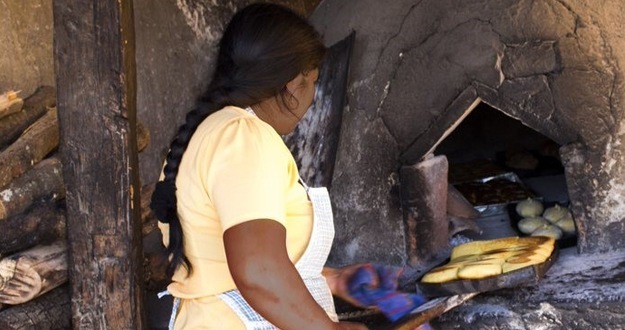 But the community leaders who tapped Kenia to found and run UCCEI, a farmer cooperative in the coffee-fueled town of Matagalpa, Nicaragua, knew she had what it took. And in 2009, Kenia rose to the challenge and became UCCEI’s general manager, overseeing a business currently sourcing from over 900 smallholder farmers in the region. In return for their high-quality, specialty coffee, UCCEI provides farmers with higher prices, technical trainings to help producers increase yields, an internal credit fund to help members invest in their farms and their families, and programs focused on improving health and education. Initially, UCCEI struggled to find the financing it needed to succeed. But in 2010, Root Capital provided UCCEI with a $300,000 loan — a loan that UCCEI paid back in full. Today, UCCEI has a $1.5 million line of credit open with Root Capital, and is using that capital to invest in the farmers that produce the high-quality coffee that Starbucks purchases year after year. Working with UCCEI, Kenia reports, some farmers have as much as doubled their production – and their incomes. Today, the “thousand hills” that give Rwanda its nickname are speckled with coffee farms that produce some of the finest coffee in the world. But not long ago, the Rwandan coffee industry looked very different. The 1994 genocide had devastated communities in Rwanda’s coffee-growing regions, leaving them struggling to rebuild. With the population and countryside ravaged by conflict, it was difficult to grow, process and export coffee. 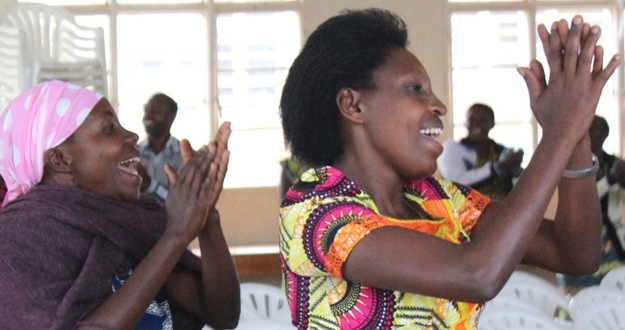 For Rwanda’s women — many of whom had been widowed by the genocide, and were left in charge of coffee farms they had never before managed — the path forward looked particularly bleak. For more information about Root Capital's work with coffee cooperatives like UCCEI and Maraba, visit their website at rootcapital.org. Providing access to credit at reasonable terms is a critical aspect of our farmer support model. By investing in farmer loans, we’re helping cooperatives manage risk and strengthen their businesses. We are currently on target to achieve our goal of increasing our farmer loans investment to $50 million by 2020. On International Women’s Day on March 8, 2018, The Starbucks Foundation announced a new goal to empower 250,000 women and girls in origin communities by 2025. This announcement builds off a long history of investment in coffee, tea and cocoa producing communities to address their most critical needs, with a recognition that an investment in women and girls leads to greater impact for families and communities as a whole. 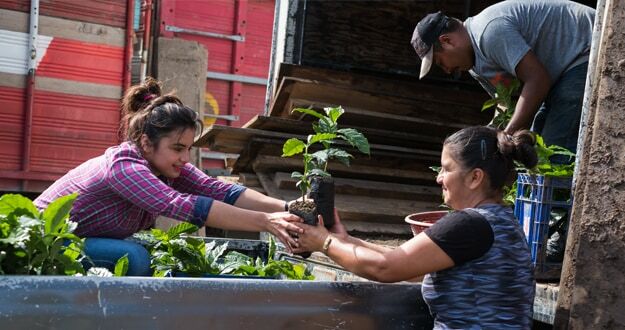 With a deeper focus on women and families, Starbucks will also be able to accelerate its broader goal to improve the lives of at least one million coffee farmers and workers by 2025. To reach that goal, The Starbucks Foundation is supporting programs around women’s leadership, access to finance, and healthy homes. These projects aim to break down barriers to education, promote clean water and sanitation (WASH), and create economic opportunities for women and girls. Starbucks has a long history of working with coffee and tea origin communities to address their most critical needs such as access to water, sanitation, health and education. 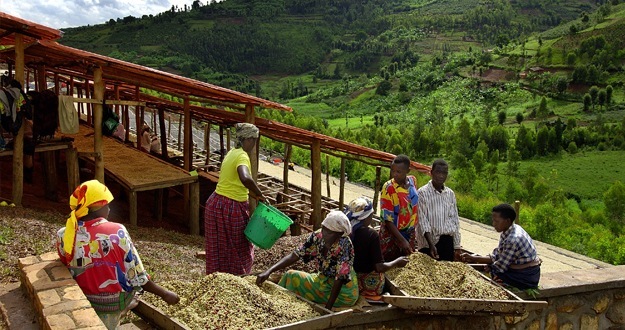 Since 2005, the Foundation has awarded more than $20 million in Origin Grants to organizations working in coffee and tea sourcing communities, including Mercy Corps, Eastern Congo Initiative, Heifer International and others, to support smallholder farming families with vocational training, increased access to water and health services, and greater economic opportunity in coffee and tea-growing communities. To empower women through improved sanitation and greater economic opportunity. The project will strengthen local women’s associations, increase access to finance through micro-loans, and promote women’s leadership in cooperatives through gender-integration training. To increase the resilience, income and well-being of coffee communities through business and cooperative management skills building, installation of new eco-friendly coffee processing stations, access to potable water, and agribusiness scholarships. 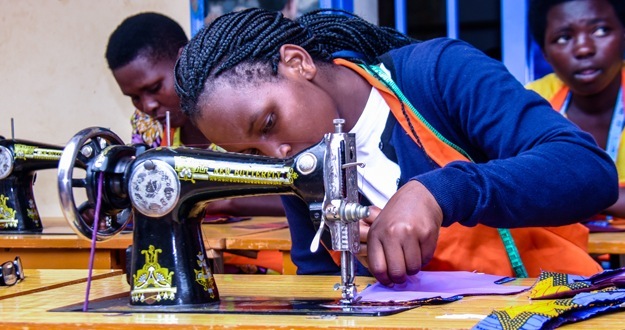 To build leadership and income-earning potential of low-income women farmers in Rwanda with menstrual supplies, entrepreneurial opportunities, and community health education training to lower limitations to work and school and generate sustainable income generating pathways. To support livelihoods for smallholders in Tanzania through the placement of heifers with families as an additional source of family nutrition and income, increasing access to clean water and sanitation facilities, and WASH education at the household and school level. To empower coffee growing communities with the knowledge, skills and means to live healthily and sustainably from the land by integrating elements of their farms so that coffee and food crops, trees and animals work together to complement each other’s productivity. Women will have greater confidence and opportunities to lead, leading to more prominent roles. To increase food, health, water, sanitation and financial security for coffee growers in Huehuetenango through field schools, teaching vegetable home gardens and small animal farming, access to safe water and improved sanitation, hygiene and education, and empowering community entrepreneurship through a system of savings and credit groups, run and led by women. To empower women to thrive through safe relationships, healthy homes, clean drinking water and economic opportunity. Through the formation of savings groups, households will increase their financial resources to purchase assets like goats, pigs, homes, school tuition for children and support health care costs. Starbucks Foundation has awarded more than $20 million in Origin Grants to organizations working in coffee and tea sourcing communities, read the details here.